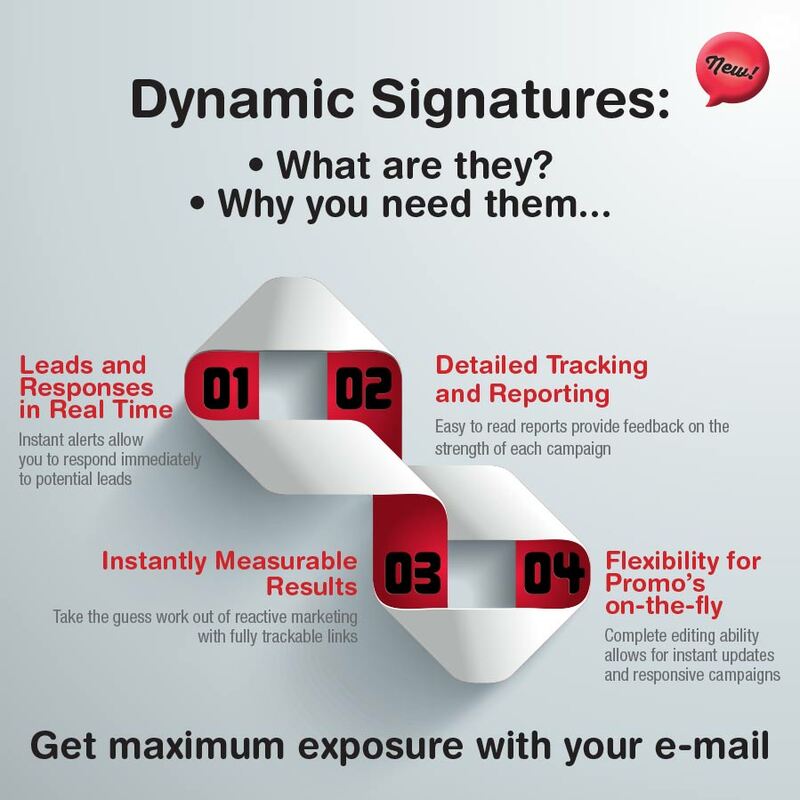 WHAT IS A DYMNAMIC EMAIL SIGNATURE? Simply put, it is a signature that responds when you click on it by taking you to a prescribed link or destination. As a business owner you are probably sending out dozens of emails daily. Why not use this existing platform to not only maximise your brand exposure but also to drive sales and website traffic by doing what you and your staff do naturally every day – sending emails! Convert your most trusted and used communication medium into your highest yielding, targeted and interactive marketing and advertising platform. Hot Ink can assist you in taking ownership of this medium, transforming your current signatures into working vehicles carrying valuable marketing information to your customers on a daily basis. Detailed tracking and reporting allow for instantly measurable results giving you complete flexibility to mould your marketing strategy. While you and your staff simply continue doing what you do every day (i.e. sending emails), Rocketseed enables you to automatically build your database without lifting a finger, whilst staying within the law. – Have professional email signatures that look great every time. – Multiple clickable links to websites, specials, social media, blog spots etc. – Trackable links allow you to see immediately when someone engages, allowing you to respond to actual leads in real time. – Easy editing allows you total control plus campaign flexibility. – Rotating banners allow you to display variable graphics/promotions. – Use the software to build your database for you.